This Laundry Hacks That Don’t Really Work post is sponsored by Tide. Please see below for additional disclosure. As always, please use caution and read the directions when using any laundry detergent. I grew up with a mother obsessed with hacks. She just wanted to find an easier way to do things because she was always so busy She had two kids, worked a full time job, commuted, was a Girl Scout leader and a lot more. From gadgets to tips, if there was a hack she would try it to save time and/or money. And when it came to laundry she tried pretty much everything. Vinegar. Lemons. Baking Soda. She even made her our own detergent (DON’T DO THIS). Of course, she wanted to pass down these great hacks to my generation. But with three kids, three dogs, a husband, three businesses, AND I volunteer on a regular basis – I don't have time to use hacks that may not REALLY work. 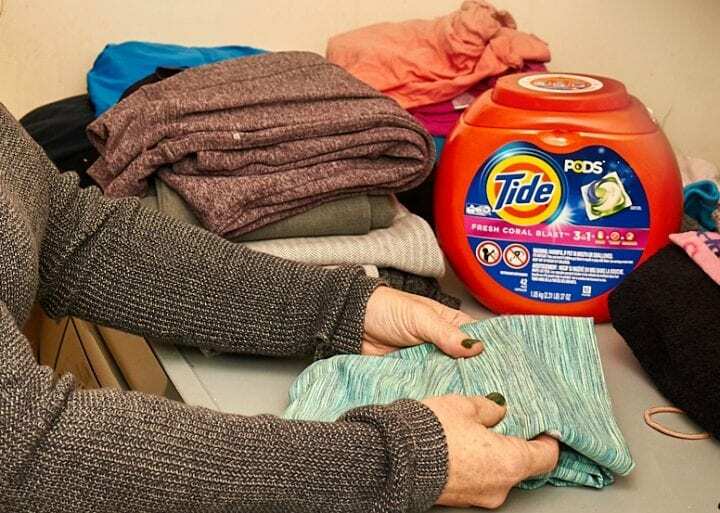 My mother always used her favorite laundry hacks with a bargain detergent – she said it helped the bargain brand work better. 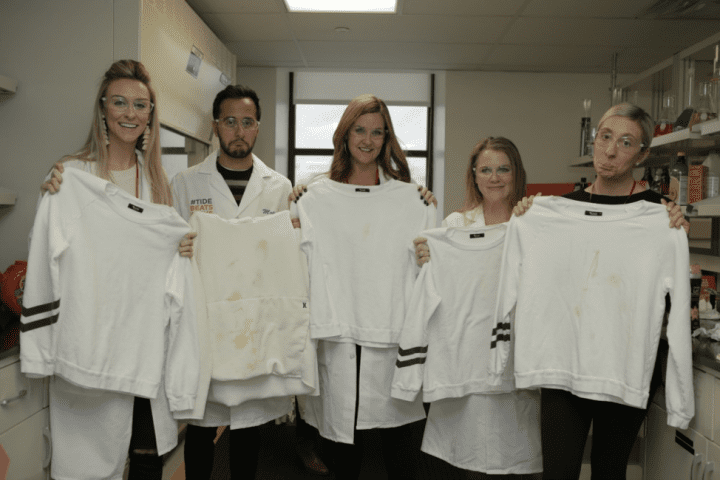 So I decided to put this theory to the test against my just favorite detergent, Tide…right at their lab in Cincinnati, Ohio. They said they could prove my mother’s hacks wrong so I just had to see it with my own eyes…and while the results weren’t surprising to me, I learned a ton from their scientists that I can’t wait to share with you! Here’s what I learned. Vinegar supposedly helps remove residues that cause dinge and odor. I am not certain that I used it for dinge but we used it my entire life for getting odors out of clothes. In fact, my mother not only used to buy it by the gallon but she used so much in our home during my childhood that my father constantly said that our home smelled like a salad. It kind of did. Here is the thing about vinegar and your laundry, you need A LOT of it and this still might not help. How cost effective is it really to add 4-5 cups of vinegar to each rinse cycle? This is the amount you need for it to be really effective. Most people use one cup so they never really get the full benefits and then it just becomes a waste of money. In addition (and this is something that I didn't know) detergents aren’t always compatible with vinegar because it's an acid. Your clothes might not get as clean because your detergent becomes less effective due to the lowering of its optimal pH level. 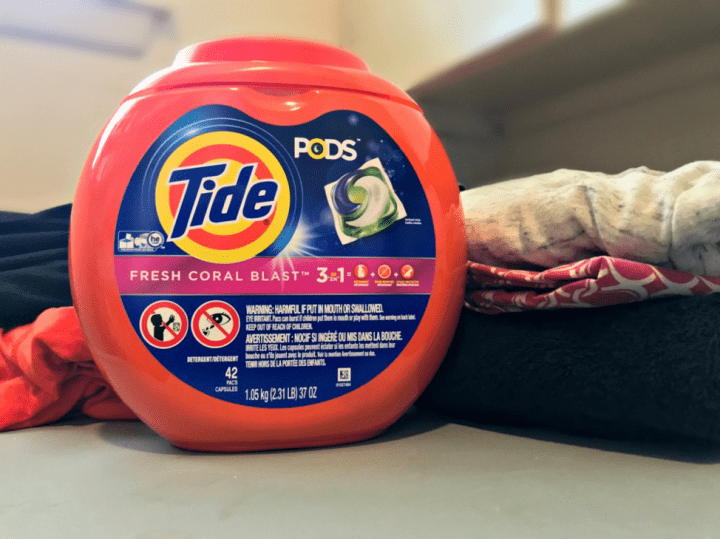 I learned that Tide’s newest product, Tide Fresh Coral Blast, not only gets rid of what causes odors but releases a pleasant smell the more you move – yup, motion activated laundry detergent is the way to go. As a teenager, I decided that I wanted blonde highlights in my hair. Of course my mother and grandmother said use lemons so I did. I sat out day after day in the sun on our back deck after putting lemon juice in my hair. I am still not certain that it ever worked but my mother did get a break for a few hours so this might actually be a legitimate #parenthack. Lemon juice has a mild bleaching power (which is what I was hoping would happen with my hair) and it contains citric acid which helps remove residue leading to dinge. Using lemons can be a lot of work, plus lemons aren't cheap and they can harm your color fabrics by fading its color which is why they are recommended for white clothing. It takes a full bag of lemons to get one cup of juice and it's probably not enough either. The cost and the time needed far outweigh any possible benefits. Another one of Tide’s new products, Tide Ultra Oxi, doesn’t require a ton of time to squeeze lemons or any pre-soaking…and we saw the results. Tide just works better. Baking soda was always one of the most popular things in our house. We had it in the refrigerator, the freezer and used it on the carpet. My mother always had a paste that she made with baking soda and kept it in a Tupperware container in the kitchen because that was always stain central. 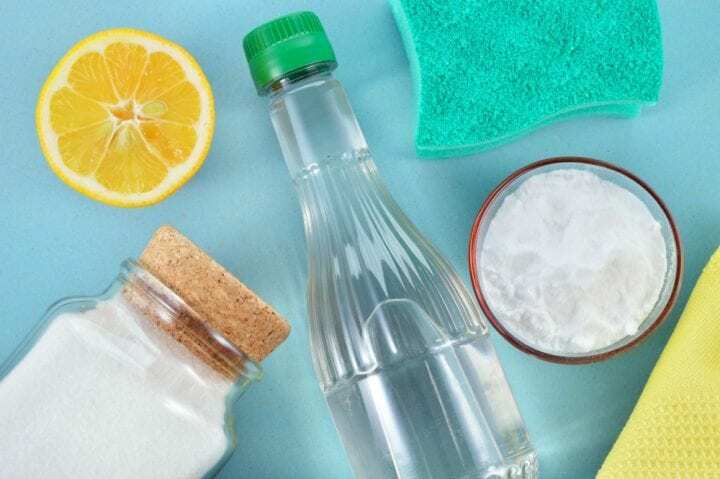 Baking soda can work as a gentle abrasive and fights grease/oil stains but it's messy and it takes time to make the paste which tends to dry up quickly. Similar to the way Tide Ultra Oxi works to brighten, it does the same for lifting stains. It has built in pre-treaters, which is such a time saver. The crew at Tide about to put those laundry hacks above to the test. Did you know that on a normal day, the average adult produces 1 Liter of sweat? That's a little over 4 cups. Gross, right? When I wash my clothes, I want my clothes to be clean. Then I want them to smell good. I love scent and it is especially true when it comes to my laundry. Besides the science behind Tide (which I could seriously talk about all day), I am such a big fan of how well it cleans (that shirt below was white again after one wash) and of the smell. Let’s talk some more about those new Tide products I’m so excited about. There is scent and then there is scent. This may sound a little odd but stay with me. Tide shared that bargain detergents often use perfume to mask odors but this perfume quickly wears away. Then the more you wear these garments, you'll find the left over odor residues builds up sometimes causing rebloom. The more you wear your garments, the leftover odor residues build up, and you can start experiencing rebloom which is that slightly musty smell that sometimes happens with workout clothing. Who wants that? That overly perfume-y scent does not mean clean. To me, the scent of clean is Tide. Tide Fresh Coral Blast as a matter of fact. Tide Fresh Coral Blast became my new favorite after just one wash. One of the coolest things about Tide Fresh Coral Blast (besides how well it cleans my clothes) is that the smell activates the more you move. My clothes look and smell fresh all day. Tide Fresh Coral Blast removes more of the source of lingering odor versus using a bargain detergent with vinegar. I took a freshly dried t-shirt out of the dryer and put it on while it was a little warm which felt so nice. It smelled great and when I rubbed the sleeves together, even more scent was released. This happened all day because of the “encapsulated, motion-activated, long-lasting FRESHNESS TECHNOLOGY.”Another new Tide detergent is Tide Ultra Oxi. It removes stains better than bargain detergent plus baking soda by offering the most advanced cleaning system designed to attack food grease and tomato-based stains. Look how clean we got everything just by using Tide. Those frowns above and shirts with the stains are all because of laundry hacks that did NOT work. Laundry is still a chore and I figure it always will be for me. However, if I can maximize my time and save money by prolonging the life of my clothes and removing dirt/stains with the first wash plus a few other things, well then it's pretty feasible that I will be a Tide user for life. With 45% of American homes using Tide, I feel even more confident in my decision. This Laundry Hacks That Don’t Really Work post is sponsored by Tide. 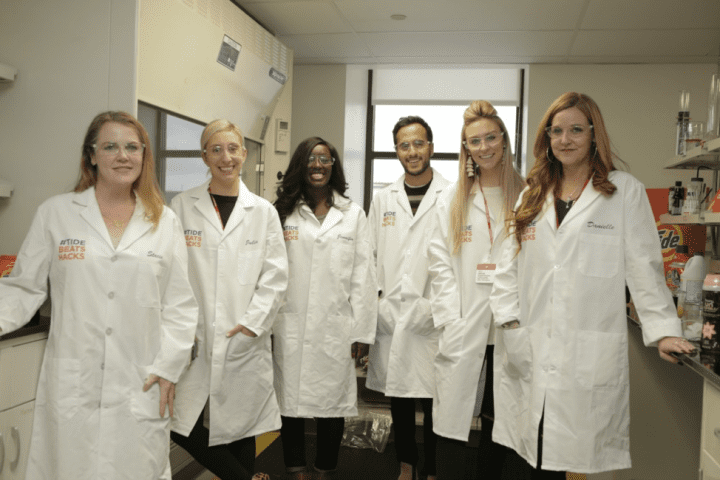 Tide invited me to spend the day in their lab at headquarters in Cincinnati, Ohio and paid for travel/food/accommodations. That is very interesting. Our use vinegar for a lot of things but if it’s not that effective then I may have to find some other things to do. Tide is one of the best laundry soaps on the market. I appreciate you going to great lengths to prove that laundry hacks simply don’t work, and can in fact do more harm than good. I’m going to have to try Tide Fresh Coral Blast. Having several fellas in the house, odors in their clothes need to be effectively removed. I’ve never been one to try laundry hacks. Seems counter-productive to me. I like Tide products, and would probably look into getting the Ultra Oxi. 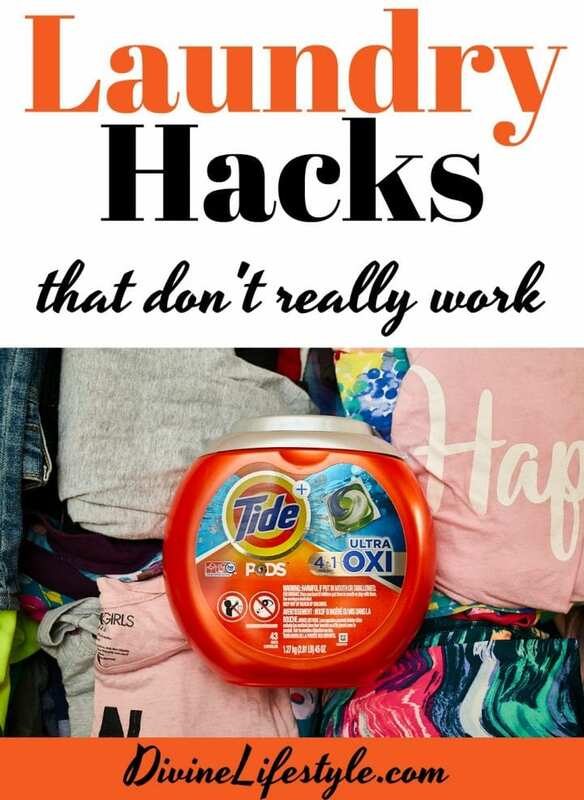 I have never tried any of those hacks on laundry and never heard of them although I use a brand that has baking soda in it. I will look for Tide and use the real thing and I know it will get my clothes clean and smelling good. I like a nice smelling detergent that lasts so I’d be up for checking out the Tide Fresh Coral Blast. My Mom and grandma both used baking soda with great success back in the day. I’m such a Tide fan! It really is the only brand that works on my stains and keeping my brights white! Tide is my absolute favorite. I appreciate you proving that laundry hacks simply don’t work, love it!! At my house it’s TIDE and that’s all! This is really great to know! Tide has been my partner when it comes to laundry! Wow I thought about using vinegar for my wash but I didnt know you needed 4-5 cups. Tide is what I use just keep the pods from the teens I hate they are doing silly challenges with this product. Its for washing not playing and eating. We’ve been using Tide for years, it’s a brand that’s tough to replace. I think it’s one of the things that I can never live without especially after having 2 boys who seems to have a penchant for stains. Lol. I agree, the hacks many times are just hacks. Good reliable cleaning products are best when the job needs to get cleaned. I think this these little pods are awesome. I love how easy they make laundry! It’s good to know which hacks to stay away from. I don’t want to waste time or money! I’m the worse with any hack. The only one that seems to work is plain, white bar soap. I would rather my detergent do everything I need it to! Cool info I love hacks but I also love myth busting too! We need valid information so thank you for sharing this! Sorry your mom was wrong lol. OMG these are awesome, I am a huge Tide user who always has an insane laundry pile going on, so this looks like a blast! My grandmother used to always tell me to use baking soda and works amazingly. I really love watching and reading life hacks. These tips sounds really awesome. 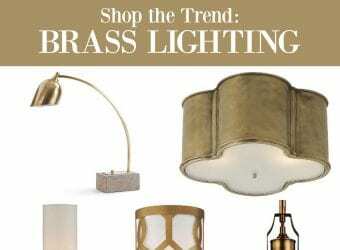 We love this product at home. I agree about these hacks. They really don’t work that great for me either. I love using Tide. I haven’t tried this Tide yet though. I’ll have to grab some the next time I go shopping. Tide has always been my favorite detergent but it has been a while since I have purchased any. Maybe I will next time, we have hard water and this might help a ton. Tide is my ultimate favorite for laundry. I have tried other detergents but they really don’t live up to Tide’s quality (and smell!). Believe it or not, I haven’t tried the pods… I’m so old-fashioned! I should give it a whirl, though. I truly love this post! It seems like there’s a slew of hacks for getting rid of stains or odors in your clothes. I’m glad you took the lead on this to lay to rest some of the more common hacks! 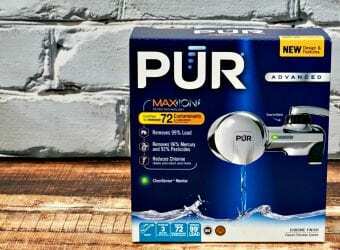 Tide has always been that one laundry product you can rely on, and these two additions to their line just shows their commitment to providing us a quality laundry soap. I love that you tested the hacks, and your fancy coats. I use vinegar to wash vegetables but not in the laundry. And I always keep baking soda in the fridge! Honestly, Tide is the BEST laundry detergent. I have tried to save money and used other brands, don’t they don’t do the job! The smell and results are incomparable. Tide is a brand that I’ve trusted since day one! I think it’s awesome that they’re developing and improving the products that they have right now. Thanks for clearing up those laundry hacks. It’s good to know which ones actually work and which ones are a waste of time. I use the vinegar trick a lot to help get smells out. It works wonders.